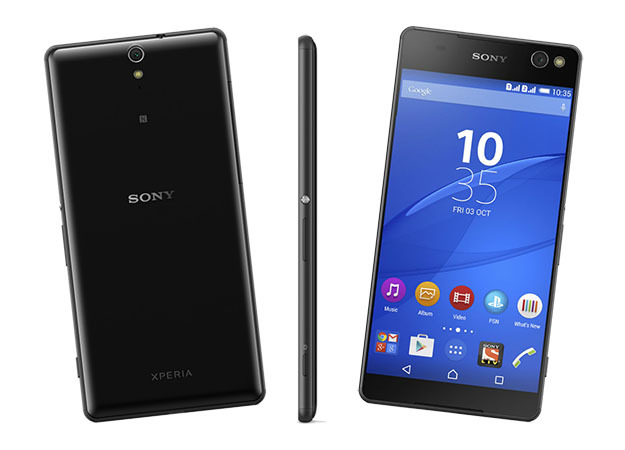 Sony launched Xperia C5 Ultra which is combining Beauty of Phablet and Smartphone featuring Mediatek 1.7 GHz Octa-core processor, 6 inches display, 13 MP front and 13 MP rear camera, 16 GB ROM/ 200 GB Ext. SD, 2 GB RAM and 2930 mAh battery. 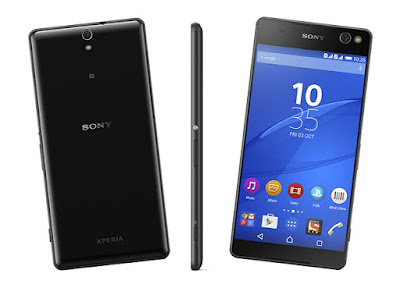 Here we will have Short review, Pros and Cons of Sony Xperia C5 Ultra. They retained their own Omni-Balance design with aluminium frame in the edges with rounded corners. Although having huge size they maintained it very comfortably by narrow bezels. At the right edge volume rocker, power and camera shutter metallic key is located. The left edge has two slots for Nano-SIM cards other one slot for a microSD card and 3.5mm headset jack is at the top while the micro-USB port at the bottom. 6.0 inches IPS LCD capacitive touchscreen with resolutions of 1080 x 1920 pixels and 367 ppi display density give vibrant colours, pre-loaded super vivid mode enhances the colour brightness and saturation of photos. The display has (Scratch-resistant Sony Mobile BRAVIA Engine 2) protection. 13 MP camera has many manual setting like Style portrait, Multi-camera, Sweep Panorama, AR Effect, Creative effect and photo sensor like Sony Exmor RS™ for mobile image sensor, SteadyShot™ – video stabilisation, Superior Auto – automatic scene selection. The quality of captured pictures are pretty well in good lightening but in low lightening condition the camera sensor perform average as photos comes out little grainy. Front 13 MP selfie majestic camera (22 mm wide-angle lens with an 88 degree field of view) is not going to disappoint any selfie enthusiast people. Mediatek MT6752 1.7GHz Cortex-A53 Octa-core processor with Mali-T760MP2 graphical processor and 2GB RAM gives smooth user experience. But sometime it lags in stamina mode while opening some task such as gallery, we think this problem is associated with software hope this will solve in future software update. Generally for a user it has quite good performance. 2930 mAh battery is running average in this device, some task drains battery so quickly such as live video streaming. Sony's battery Stamina mode is really helpful to use every drop of battery juice. 13MP selfie camera with flashlight. Memory is expendable up to 200 GB. Resize screen for one handed operations. Camera takes bit more time to open. Little bit of heating problem. Stock charger is slow takes long time to full charge. This device is impressive gift for the people want to own a 6.0 inches optimized size handset. Battery is 2930 mAh and performance wise its downside for this handset. The front 13 MP with wide angle gives the detail about the photograph. Price on the basis of specs is little more as there are also some handset such as Moto X Play and Asus Zenphone 2 with good specs and lower price.